This week, the Florida Division of Emergency Management in partnership with Orange County’s emergency management team, focused on its public awareness campaign regarding various weather hazards that frequently impact the state and region. With an active El Niño season and hurricane season starting June 1 through Nov. 30, citizens are encouraged to plan, prepare and be ready for severe weather now. Orange County District 3 Commissioner Pete Clarke visited the second grade class at Orange County Public School’s Lake Silver Elementary on February 24 for a reading of Professor Tinkermeister and the Wacky, Whiz-Bang, Weather-Watching Wonder. The children’s book highlights the importance of severe weather awareness and precautions for staying safe. 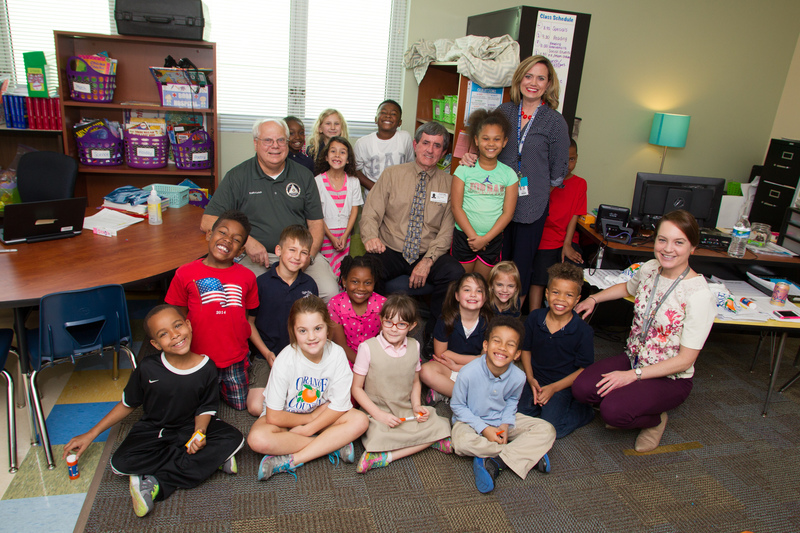 Orange County’s Office of Emergency Management also provided weather radios to each student so their families are prepared at home for severe weather conditions. Orange County employs several methods of communicating important information regarding severe weather hazards to residents. Various communications tools are available, including television, radio, cell phones/smart phones, email and dedicated radio receivers. Orange County’s mobile apps provide tips and alerts to help you stay safe. You can download the following apps for free at the OCFL Apps page. For more information on Severe Weather Awareness Week, visit the Florida Division of Emergency Management. Photos from Commissioner Clarke’s reading at Lake Silver Elementary School may be found on Flickr for use by the media.